If you’re anything like me, moving house is right up there with wheelieing into the side of a police car or finding out your sleazy prog rock uncle now has a bike and is looking to joining you on your next big group ride. The cleaning. The endless boxes and tape. The sheer amount of time it takes is always straight up nightmarish. 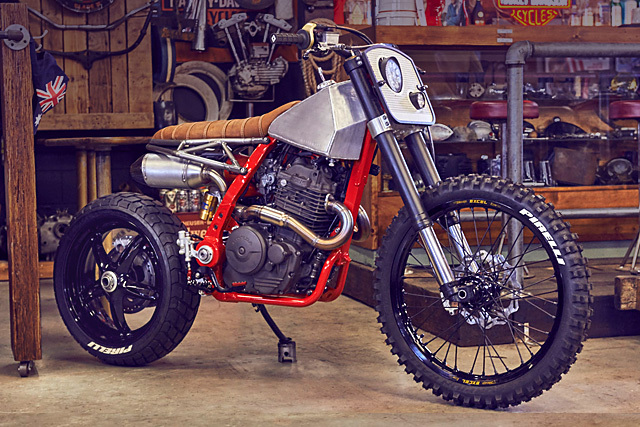 Now imagine moving your custom bike shop. Suddenly it’s goodbye income, too. 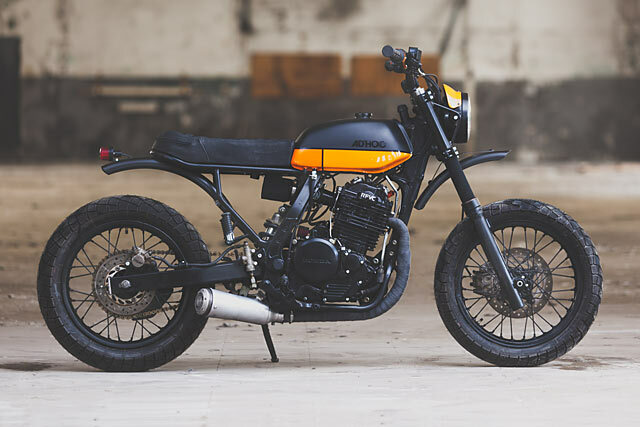 But far from collapsing in a screaming heap, David Gonzalez from Barcelona’s Ad Hoc Cafe Racers managed to find the time make this Honda NX650. 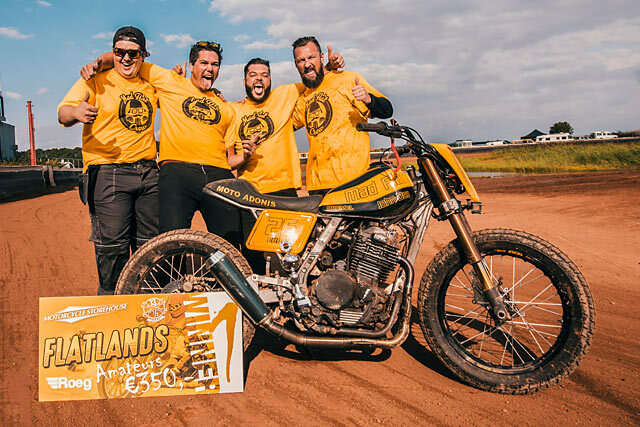 When you think of a dual-sport motorcycle, the first things that comes to mind are the Dakar rally bikes and more recently the BMW GS series ridden by actor’s Ewan McGregor and Charley Boorman used on their world famous rides around the globe. 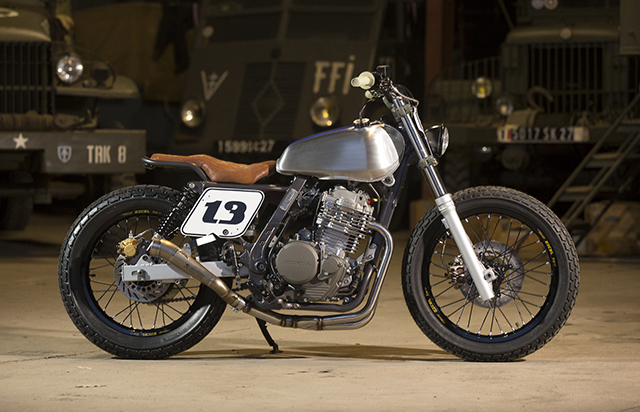 What doesn’t come to mind is a handcrafted, urban assault style, custom brawler straight out of a small village in Normandy, France. 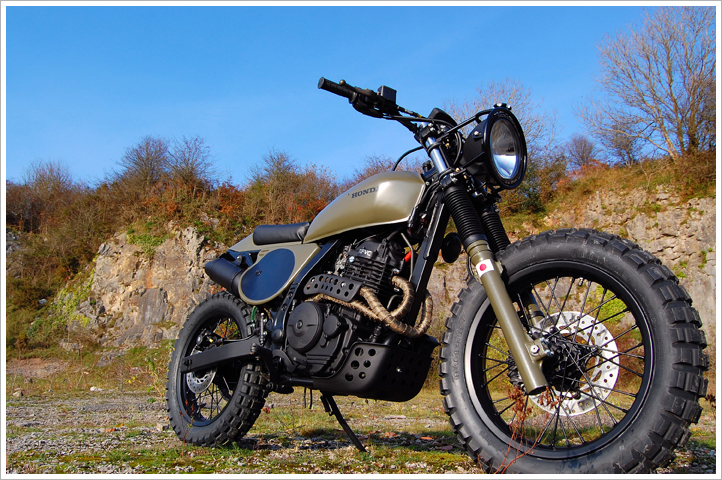 But that is exactly what builder Simon Garcia has created, taking a Honda NX650 Dominator and making it his own. Humans are addicted to all kinds of things. The usual suspects are cigarettes, alcohol and other drugs. Then you have people who are addicted to objects like motorcycles – you tend to find a lot of them here at ‘Pipeburn Anonymous’. 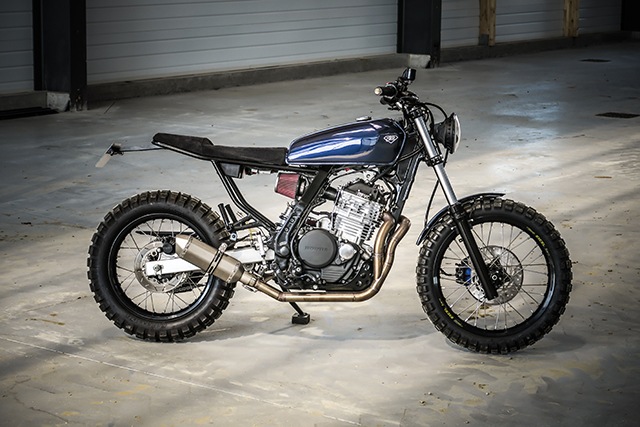 They collect all kinds of bikes and they crave anything motorcycle. 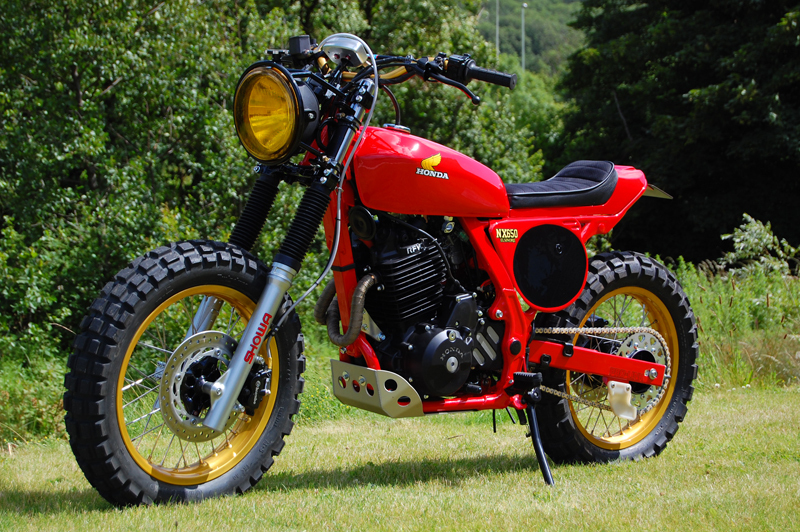 Then you have people who are obsessed with certain brands of bikes. They will only ride a Harley, buy Harley boxer shorts and even tattoo their skin with their beloved logo. 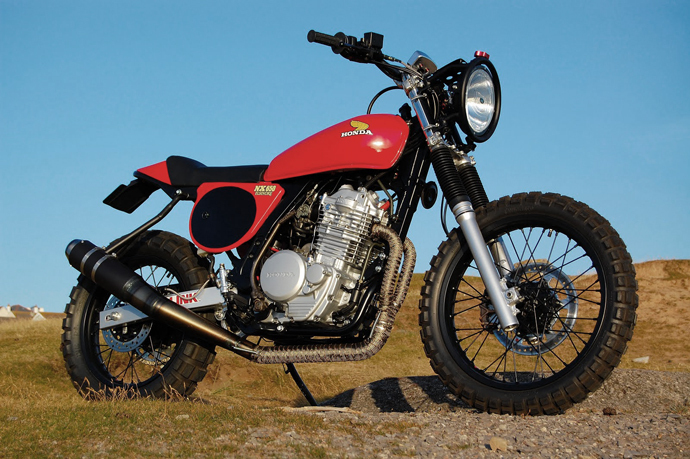 And then you have people like Andrew Greenland from Wales who is addicted to one model of bike – the Honda NX650 Dominator. It’s probably not the coolest bike on the block, at least not when he finds them, but they usually are when he’s finished. 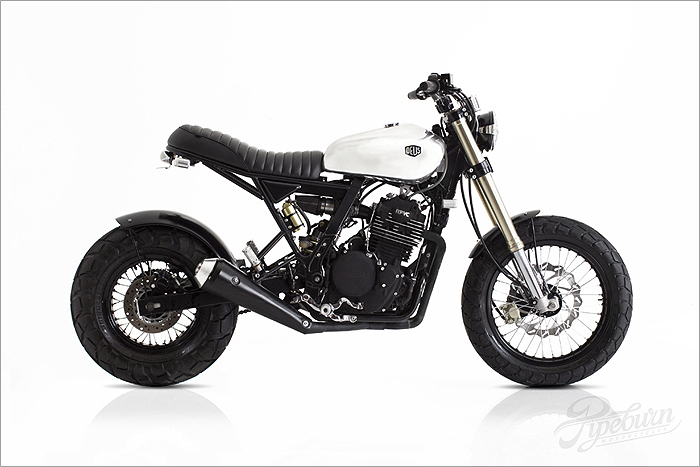 This is the fifth Dominator Andrew has built in 18 months and we think this could be his finest work yet. 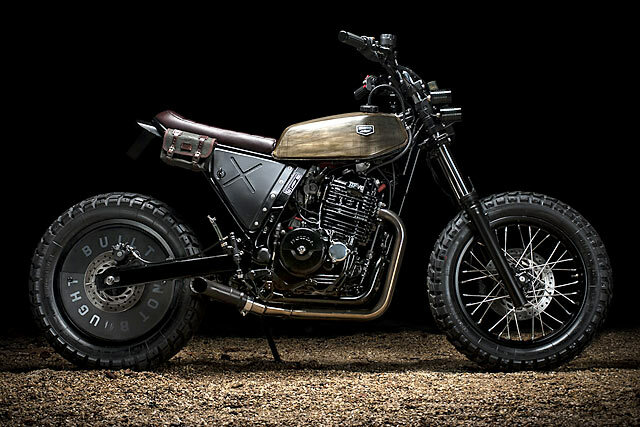 “I was wondering what one of these bikes would look like in military style and decided the only way to find out was to build it, so here it is…” says Andrew.